How are you today? 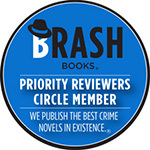 Have you been busy reading? I have been. I am, once again behind. I need to stop looking at bookish things so that new books aren’t added to my reading pile. Do you ever feel that way? I have a list in a drawer of books that sound interesting and I never get to that list. There is always so much in front of me. I had read about this week’s book and then the author came to my local library. It was very interesting to hear the author talk about the book. So between seeing the author and reading the description, I was hooked. To my husband’s surprise, I waited until I got the book from the library to read it. Lillian Boxfish Takes a Walk is (of course) about Lillian Boxfish taking a walk on December 31, 1984. Lillian lives in New York City and is 85 years old. She is quite sharp for 85 and does not actually set out to take a walk. As the book opens she discovers, much to her dismay that while talking to her son, Gian, on the phone, she has consumed a package of Oreos. She isn’t even sure why there were Oreos in her apartment. But she has a dinner reservation and now she isn’t hungry. She sets out to walk to dinner with the hopes of being hungry by the time of her reservation. While walking, she reminisces about her life. Lillian was, in the 1930s, the highest paid woman copywriter in the world. And while she was working for R.H. Macy’s, she was also a published poet. She was a very accomplished woman. She was sure that she would never marry because to marry would mean that she would have to leave work. And why would she want to do that? “No one survives the future, of course. Over the years I have rushed it, run from it, tried to shunt myself from its track. That these efforts did not succeed does not mean the I regret them. 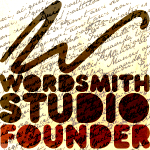 The story is well paced and keeps your interest. Lillian is a very interesting person. Even more interesting is that the story is inspired by a real person. Margaret Fishback was really the highest paid female advertising copywriter in the world during the 1930s. And she did publish poetry books. Knowing that, makes the book just a little more interesting. Don’t skip reading the Author’s Notes and Sources at the end of the book for more information. I think you should take the walk with Lillian! 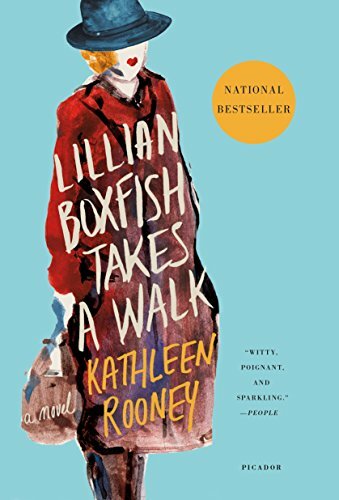 This entry was posted in Talking Books and tagged Fiction, fiction based on real person, Kathleen Rooney, Lillian Boxfish Takes a Walk. Bookmark the permalink.